Ok, I know you are probably the mama reading this, but this is a day to spend time with your little ones & not stress about cooking! 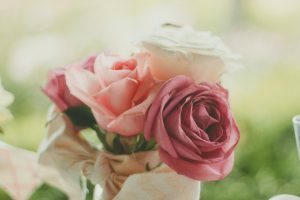 As a mamapreneur so much of our time is spent running around & getting things done. So let’s get this straight right now- what I’m gonna give you, is the freedom to enjoy your breakfast! 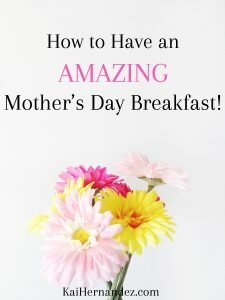 I’m gonna give you some easy mother’s day breakfast ideas so that you can take it easy & have an awesome mother’s day stress-free! I will be featuring my favorite grocery store just because I am in love with them! And they make it so easy to shop quickly & get great products, this is in no way sponsored by Trader Joe’s. What’s the best way to spend this day? Kicking up your feet & enjoying time with your family! 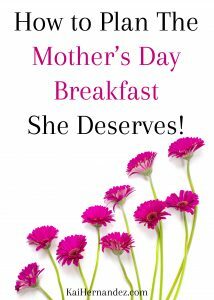 I’m gonna give you a few easy mothers day breakfast ideas to use to make this day amazing! The best part is that everyone can be involved & have something they like! Making a breakfast bar can be as simple or as complex as your family wants. With the ideas listed, you can opt for microwavable options so that younger kids can help out, or you can stick to the stove & let dad handle it ? Add to yogurt for a parfait! Dad has got a lot of options when it comes to the stove! Your little ones will love some emoji pancakes! If you want your hubby to go all out you can get an inexpensive citrus juicer! You can even order these from Amazon! 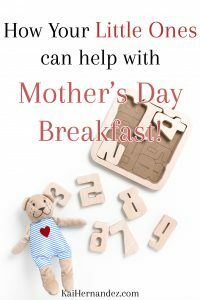 What are some of your favorite breakfast ideas for Mother’s Day? Is there anything amazing that I am missing? Let me know in the comments & have an awesome Mother’s Day mama! Wonderful ideas. I love the crepes idea the most and are easy to make. The chocolate covered strawberry delicious! I might do some of these to my mother, maybe even tell my eight year old to help. That’s an amazing idea! I love when the little ones help out, especially when it is for grandma. This makes me wish I still had kids in the house. LOL. Frozen chocolate crêpes – oh my gosh. I’m craving these now. Haha I know, good thing it the frozen crepes are super easy to make for yourself. It’s like someone did all that cooking for you! Such cute ideas! I love how you split it up into fruit, carbs, protein, etc….